Tamale, West Africa – May 15, 2018 – Ghana’s first GoldCoin Regional Conference is on track to introduce more people to cryptocurrency. The free gathering, which will take place on May 26, 2018, at the Tamale Technical University (TaTu) Assembly Hall, features a unique program designed to promote the technology behind GoldCoin. 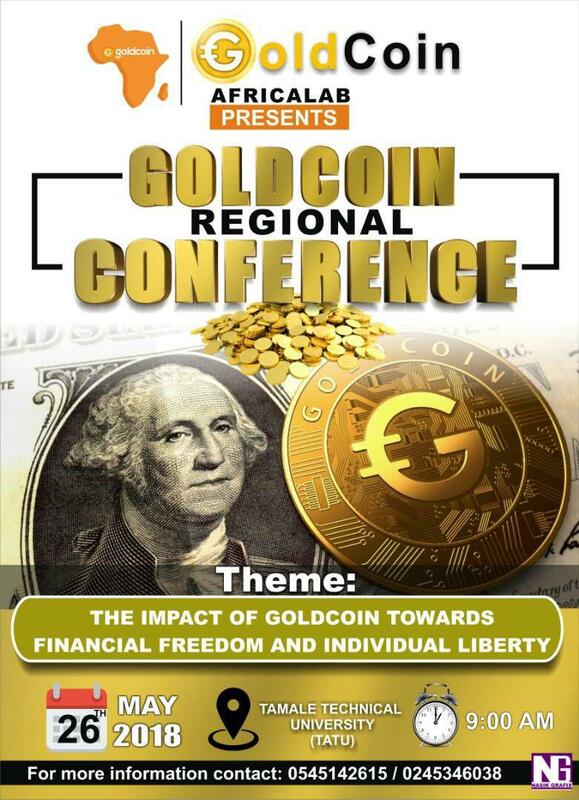 Are you curious about the GoldCoin Regional Conference in Tamale? Connect with Ibn Adams on Twitter @ibnadams2 to find out more about the free event, or learn more about GoldCoin at goldcoinweb.com.